A new study, published in this month’s American Sociological Review, showed how experiencing racial discrimination increases the risk of crime among young African-American males. More importantly, results found that those risks are reduced by adaptive parenting practices in African American families known as racial socialization. Burt and a team of researchers followed 700 African-American families who were originally located in Iowa or Georgia over an eight-year period. The caregivers and their children were interviewed every two years starting when they were in the fifth grade. Burt viewed discrimination as a type of strain that was cumulative in its effect that produces distress and shapes individuals’ views of the world, including the nature of relationships and the fairness of the system. The resulting distress and view of relationships, in turn, influence people’s likelihood of violating the law as individuals try to cope and protect themselves against perceived threats. Recent studies have highlighted the importance of parenting practices that promote ethnic pride and cultural heritage in the African-American community. Burt wanted to find out if such racial socialization practices helped promote coping mechanisms for effectively dealing with racism. 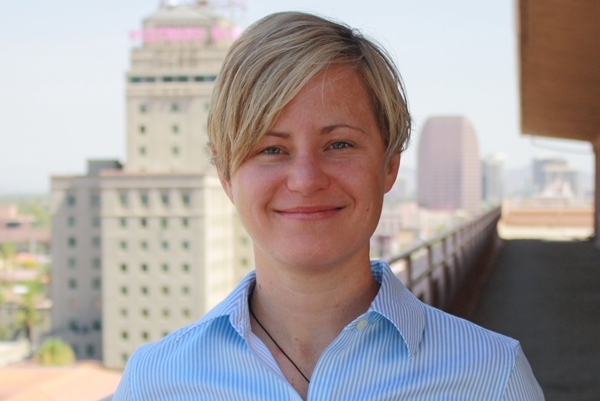 “We were interested in seeing whether individuals who would experience these parenting practices were less likely to respond to racial discrimination with criminal behavior,” Burt said. The study found that African-American kids whose families warned and prepared them for racial discrimination were less likely to engage in crime. Burt says promoting racial pride and cultural heritage and preparing African-American kids for the potential of being discriminated against are useful tools that are being used in the black community to reduce the influence of racial discrimination on crime. But the criminologist says the goal should be to prevent racial discrimination in the first place. Burt suggests future research in this area explore these processes among females and other racial-ethnic groups and focus upon how other racial socialization messages, such as those in the media, from peers, and in school, impact the risk factors that lead to crime. When classes begin Aug. 23, students in ASU's School of Social Transformation will find their faculty all under one roof for the first time since the school was formed in 2009. Wilson Hall keeps a bit of a low profile on ASU’s Tempe campus – no pillars or porticos, no gleaming glass, and a footprint so slim Wilson hides behind tiny Danforth Chapel when you approach from the east. But for all School of Social Transformation students, faculty, and staff, Wilson Hall now means home. For the first time since its formal launch in October 2009, the School of Social Transformation has all of its academic programs under one roof, with the move this summer of Women and Gender Studies faculty and School of Social Transformation administrative staff from West Hall to join the rest of their school colleagues in Wilson. When classes begin on Aug. 23, the School of Social Transformation is excited to be welcoming more than 100 new undergraduate and transfer majors, 19 new master’s and doctoral students, and some 600 continuing undergraduate and graduate students. The school’s Student Engagement team and undergraduate advising offices continue to be centered around Wilson 125, with the school’s administrative team also on the west wing of the first floor. African and African American studies faculty offices are on the east wing of the first floor. On the second floor are the offices of faculty and graduate students in Justice and Social Inquiry. Women and Gender Studies faculty and graduate students and Asian Pacific American Studies faculty offices are on the third floor. ASU’s North American Center for Transborder Studies will maintain their offices on the third floor of the building until later this fall. 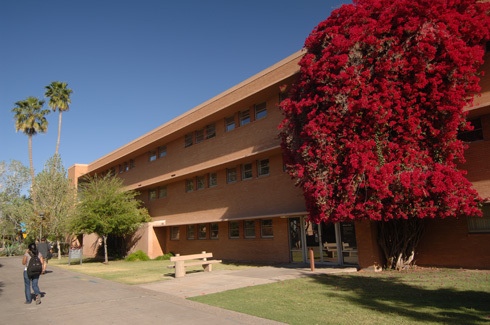 Wilson Hall, named for George Washington Wilson, who owned the five acres used as the original site of the Tempe Normal School in 1883, was built in 1956 as a residence hall. Eventually remodeled to house office spaces, Wilson today also includes open areas on the second and third floors where students can meet and study.